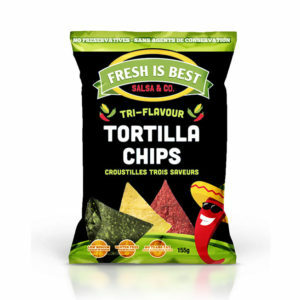 Our Stoneground Yellow Corn Tortilla Chips in the BULK 2lb bags are a great size for Food Service as well as caterers and party planners. Our Yellow Corn Tortilla Chips feature all stoneground yellow corn. What is unique about our chips is our flavour is baked into the chips rather than dusted on top. 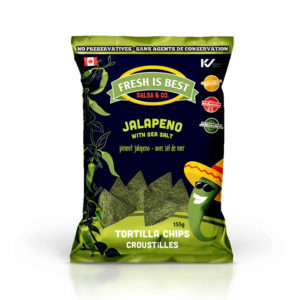 These chips are dusted lightly with Sea Salt to make them simply irresistible. Always a hit at a party and always impressive on a platter of nachos served up with our Fresh Is Best Salsa or other dips. When you look good.. we look good! FRESH Is Always Best!